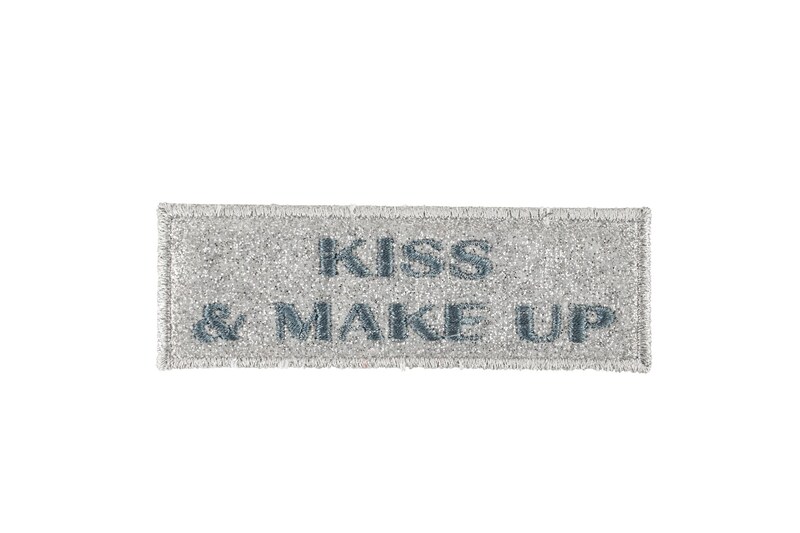 Blue 'Kiss and Makeup' patch to customise your new Apatchy grey velvet bag. Our brand new adhesive patches fit perfectly on to our new Grey Velvet Collection for girls. These patches and the style area they stick to are backed with extremely strong adhesive glue. Simply peel off the brown protective paper backing and stick on. ***PLEASE NOTE*** Both style area and adhesive patches have a very strong adhesive to make for secure and permanent personalisation. Once attached, the patches cannot be adjusted or removed.